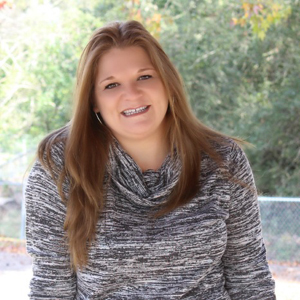 By Kristi · 2 Comments · · Disclosure: This post may contain affiliate links. Using an affiliate link means, I might earn a commission from any purchases through that affiliate link. These easy stuffed peppers are great on a cool evening, plus dinner is ready in less than 30 minutes. 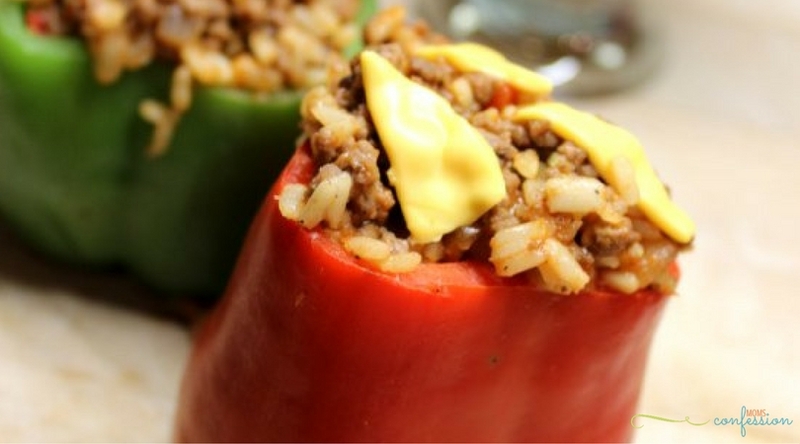 Take back dinnertime with this stuffed pepper recipe. If it’s not easy to make then it’s probably not going to be cooked in our house. 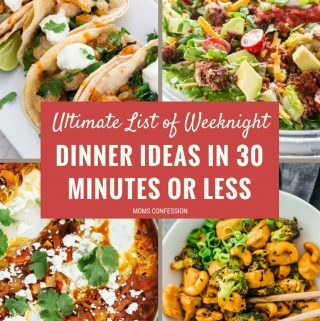 Even though I am a stay at home mom I could spend hours in the kitchen prepping and cooking a dinner that would knock your socks off, but my family probably wouldn’t touch it with a ten-foot pole. Sure we know how to dine out in public without people staring at us too bad, but at home, there are some serious down home meals that are eaten! One of my families favorite recipes is stuffed peppers, even though no one likes the peppers except for me. So instead of wasting money or time on peppers, I usually just make the stuffing and add some veggies on the side to keep our food pyramid in check! Cook in oven 5-10 mins. or until cheese is melted or microwave for 2 mins. 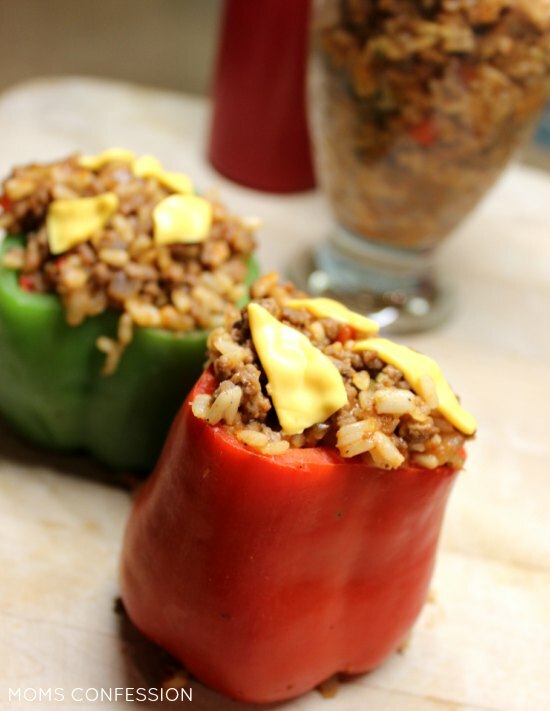 Get the printable easy stuffed peppers recipe below. Cook hamburger meat w/ seasoning and onion. Cut bell peppers in half and boil about 2 mins. in salted water (top & bottoms cut out). While hamburger meat is cooking, boil & drain rice. When hamburger meat is done, add a whoosh of ketchup, rice, and stir in. In a pie plate, arrange cooked bell peppers and fill with mixture. Top with cheese slices torn into strips. Serve with veggies of your choice & viola dinner is done! Time Saver Tip: Instead of using regular rice, you can use minute rice to cut cooking time in half. Hi! Stopping by from MBC. Great blog! Thanks for stopping by Veronica. Hope to talk with you soon!